The query builder lets you extract information from the system into the form of a report, which you are then able to export into CSV format and also print from there. The focus of this article is how to build an expense report. 2. In the next three columns, scroll down to the entitlement information. 3. Select all information you wish to include in this query. 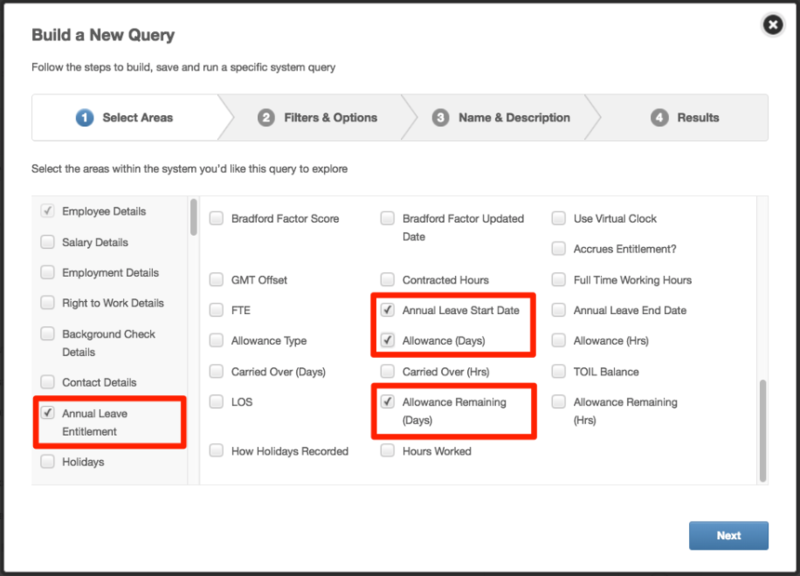 For the query to be most useful, you'll at least want to select the fields 'Annual Leave Start Date', 'Allowance (Days)' and 'Allowance Remaining (Days)'. 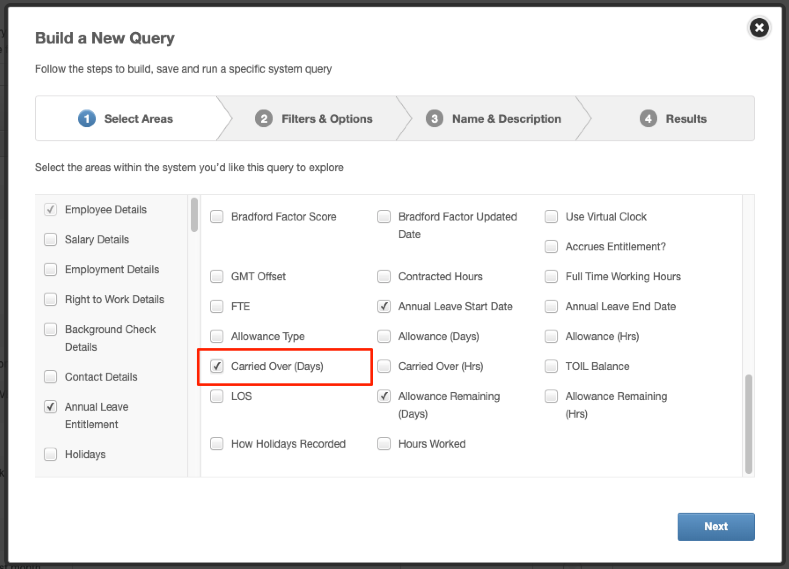 If employee's entitlement is measured in hours, you'd want to select the '(hours)' option instead of '(days)' . 5. In most cases, you'll only want to see remaining balance for this year or last year. To filter this, click on 'Annual Leave Start Date' and select the filter you wish to use (This Year, Last Year, Next Year etc. 7. 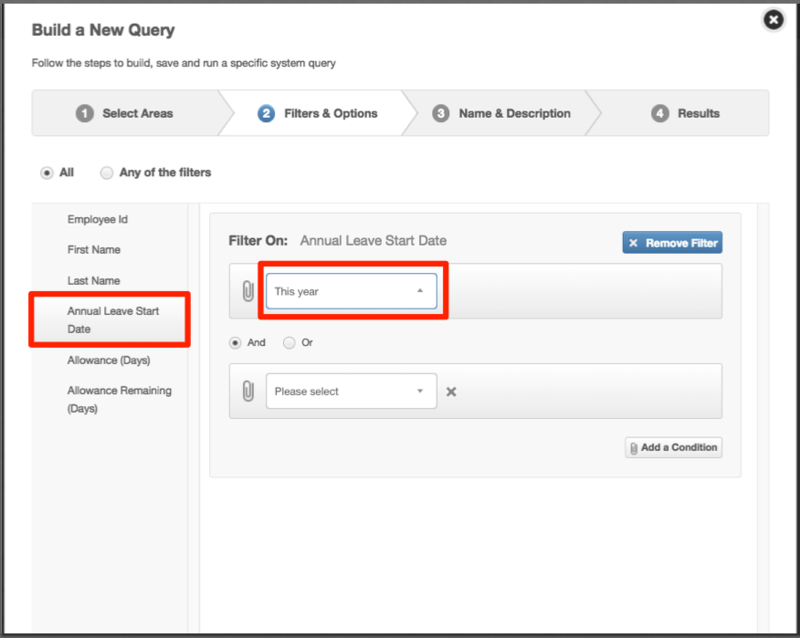 Name your query (you can also select a category and/or write a description of this query. 8. Click Next and you will be provided with the information requested during set up.